Eryn is 3 years old and has decided that she wants to follow in her mommy’s footsteps by doing a little run to get a medal. 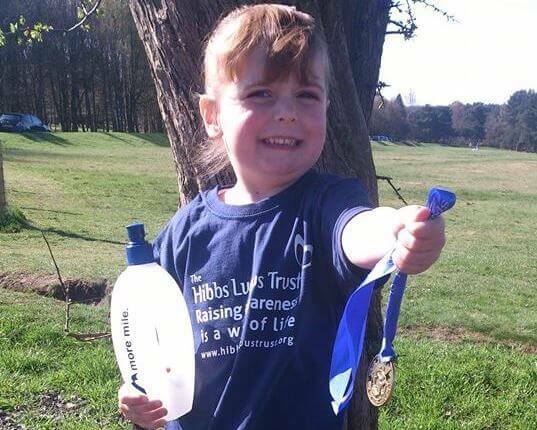 The Hibbs Lupus Trust is hosting the UK’s first annual World Lupus Day walk and when asked if she would like to take part, Eryn replied ‘yes’, but she wanted to run it just like her mommy! So on Saturday 10th May 2014, Eryn will be running her ‘first race’! The walk will follow a route around Cannock Chase starting on Marquis drive. It’s set to be a family friendly event. Free face painting will be available and there’s even a medal awarded to all walkers. Eryn is fundraising and has already raised over £100. If you would like to sponsor Eryn, you can do so via her JustGiving Page! 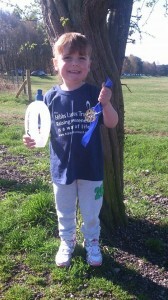 Good luck Eryn from everyone at The Hibbs Lupus Trust. Thank you for your support and we can’t wait to cheer you on and present you with your medal! Find out more about our World Lupus Day walk and register today!